Calphalon 11-Inch Griddle Pan Just $25! Down From $72! PLUS FREE Shipping! You are here: Home / Great Deals / Amazon Deals / Calphalon 11-Inch Griddle Pan Just $25! Down From $72! PLUS FREE Shipping! Amazon has this Calphalon 11-Inch Griddle Pan on sale for just $25 down from $72 PLUS FREE shipping! The Calphalon Contemporary Nonstick 11-inch Griddle features a stylish, modern design that looks great in the kitchen while offering reliable everyday performance. 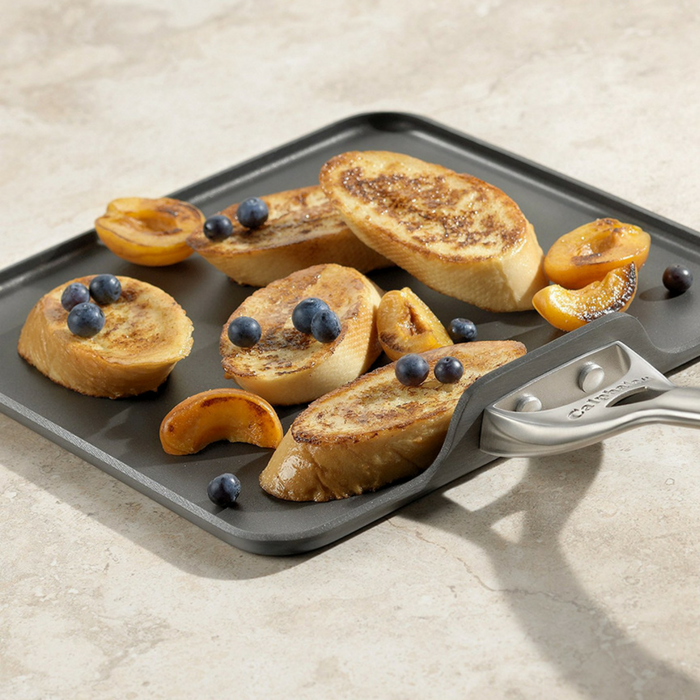 This griddle has a low profile ideal for making breakfast favorites like pancakes, crepes, and French toast. Heavy-gauge, hard-anodized aluminum construction ensures even heating, while a multi-layer nonstick surface offers exceptional durability and easy cleanup. And unlike most hard-anodized cookware, this griddle is dishwasher-safe. The Calphalon Contemporary Nonstick 11-inch Griddle is oven safe to 450 degrees Fahrenheit and backed by a full lifetime warranty.